For years, Huawei has been trying to raise its profile in the West. Well known in industry circles as the world's biggest maker of the boxes and antennas that make up today's telecom networks, it has never enjoyed the same recognition as the US tech giants, despite its recent push into smartphones. Having a name that is hard(er) for Westerners to pronounce has not helped: Attempts at it by those unfamiliar with the company suggest links to the Hawaiian Islands, or sound like a sporting battle cry from the north-east of England. The backlash against the two firms is clearly part of a geopolitical struggle between the US and China over the technology that will underpin the future global economy. Just as oil shaped the geopolitics of the 20th century, countries are now battling over the software and network tools that will let them move and exploit huge volumes of data about people, organizations and machines. For the superpowers of China and the US, falling behind in 5G or artificial intelligence would be akin to a military defeat. After sinking their talons into ZTE, hawks in the US administration are now swooping on the far juicier Huawei, which threatens to carry its 4G dominance into the 5G era. Their case against the company rests on three broad tenets. The first is that Huawei, like other Chinese firms, has made a habit of ripping off US innovation and effectively stealing US intellectual property. Second, they argue, Huawei is a "bad actor" that has scant regard for international law and sells gear to blacklisted regimes, such as Iran. Finally, it is seen as a major threat to security: Using "backdoors" in Huawei's products, the Chinese government could spy on the West, say hardliners. Source: Huawei. Note: All currency conversions are at today's rates. Nor, presumably, would US prosecutors have pushed for Meng's arrest unless they had compelling evidence against her. While China continues to howl in protest about the violation of Meng's human rights, Huawei has merely said it is "unaware" of any wrongdoing and remains confident the US and Canadian justice systems will arrive at a fair conclusion. As the full details emerge in court, and are published in the world's newspapers, the statements from Huawei's press relations team will be worth monitoring. Of all the various charges, the security issue has provoked the most debate and is perhaps the chief concern outside the US market. There has never been any clear, published evidence that Huawei's equipment is somehow less "safe" than gear from Western rivals, or that Chinese spooks have inserted spyware in Huawei products. But that is perhaps not the point. If vast pools of data about people, organizations and machines become tomorrow's most valuable commodity, the companies that deal in this data will be the world's most powerful. That one of these companies is Chinese -- and may be forced to share information with the Chinese state -- must unnerve anyone concerned about China's system of government and intentions toward the West. 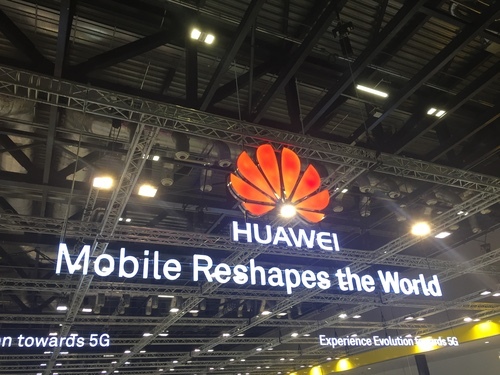 There are also concerns in the US, particularly among politicians and industrialists, that a Chinese company could be the dominant global supplier of the 5G networking systems that will essentially act as the digital foundations for businesses of all types -- even if all security concerns were dispelled, these stakeholders would be unhappy to see Huawei play such a pivotal global role. 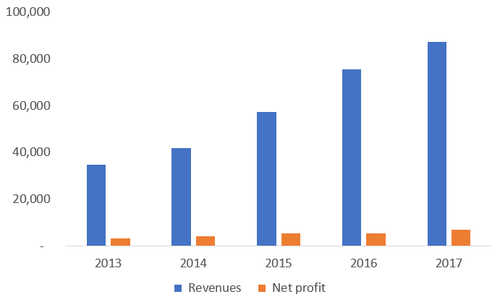 Whatever its rights and wrongs, the campaign against Chinese vendors could damage a telecom market that depends on global supply chains and competition. In the worst-case scenario, the sector would become balkanized as government restrictions force equipment vendors to retreat behind regional or even national boundaries. That could drive up prices for telecom operators and delay the rollout of next-generation networks, hampering economic growth in other sectors. But the impact on Huawei and ZTE would be most severe. Article was updated on December 11 to point out that Lumentum closed its acquisition of Oclaro around the time it was published. Huawei doesn't supply a single product that a Western company cannot also produce. Time to shut this completely UNETHICAL company off from the West.